Empirical ethnobotanical studies in Burkina Faso and the Sahel apply unmodified use-value methods, which often fail to capture uses of plants within and across categories. These methods mask both the relative uses and local people’s ‘true’ knowledge of plant species. This study addresses these methodological weaknesses by assessing plant use-values within and across eight use categories for livelihood values and their potentials for environmental protection among 48 informants, selected through a stratified random technique. The research is twofold: (1) to document and identify the conservation status of plant species and (2) to assess local knowledge and perceived importance of the most easily found plant species in relation to informant’s age, gender, ethnicity, and location. Seventy-three plant species belonging to 24 families were recorded on fields, fallows, and forests. The most easily found 30 species belonged to 14 families of which Combretaceae, Mimosodeae, Caesalpinioideae, and Anacardiaceae dominated. Results show that Adansonia digitata, Parkia biglobosa, Vitellaria paradoxa, and Balanites aegyptiaca were more valued for livelihood benefits, while A. digitata, Tamarindus indica, and Ficus thonningii received more value for their potentials in environmental protection. Local knowledge was unevenly distributed and showed significant differences at the 0.01 % level among gender, age, ethnicity, and study village. The relative importance of plant uses goes beyond nutrition and potentials in environmental protection and can provide valuable information for creating local markets for such goods. Three species belonging to different families were identified as vulnerable and considered priority for conservation. The design of conservation and development projects should consider creating opportunities for knowledge sharing that will not only improve knowledge but provide better understanding of local priorities based on sociocultural and economic factors. Daniel Etongo, Nadia Djenontin, Markku Kanninen and Edinam K. Glover 2017. Assessing use-values and relative importance of trees for livelihood and environmental protection in Southern Burkina Faso. 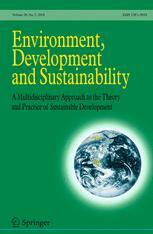 Environment, Development and Sustainability, pp. 1-26.